and sings with the birds. – Packaged in a clear cellophane sleeve, mailed in a durable cardboard mailer. Your item(s) will be mailed as soon as possible, typically within 2 – 3 days after your order is completed. To keep shipping simple and reasonable, a flat rate of $2.45 will be charged for your first item, regardless of US destination. For each additional item purchased in an order, you will be charged an additional .20 (twenty cents). For more information view our full Shipping & Returns Policy. If there is a problem, please contact me within 14 days. If your purchase needs to be returned, you will be refunded within seven days for the cost of your purchase and depending on what you bought, I will most likely take care of return shipping. That will be determined on an individual basis. My intention is for you to be 100% satisfied with your entire experience and if you aren’t, I will do my best to make it right. Card reads: life is... Abundant like my coffee or tea and me! Card reads: Beside every great sister is a great sister. Card reads: The purpose of life is to give and receive - to help dreamers dream and believers believe. Card reads: Life is a story, one to be told, filled with memories and friends, made with love and of gold. Card reads: Some days I want to give up, Some days I just want to quit, On days like that, when I'm not sure what to do, I sit with myself for a bit - and have a cup of me, or tea, or both. 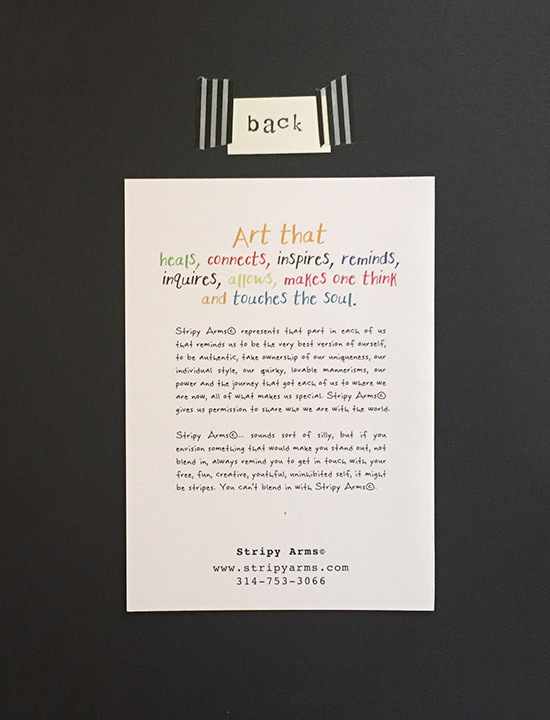 Card reads: I connect with my free, loving, uninhibited, caring, quirky, fun self, and I am happy. Card reads: A good friend will think about you, Check on you, and love you, no matter what. Card reads: As bright as the stars, As vibrant as the sunlit moon, Allow your light from within to illuminate your path and guide you on your way. There are some things you can count on. Card reads: I won't pretend to know how you feel, or to even understand. I just know, the seasons will change, the flowers will bloom, and there will be a different normal. Maintenance might be required. Card reads: We all have wings and are meant to fly - Sometimes they just need an adjustment. I feel the same way. Card reads: I think you are smart. I think you are brave. I think you are beautiful. I think you are funny. I think you are creative. I think you are caring. I think you are powerful. I think you are lovable. I think you are passionate. I think you are trusting. I think you are amazing. I think you are inspiring. I think you are generous. I think you are enough. I love you! I love you too! What's your story? Card reads: I am writing my story of life to be told, So when I look back and when I am old - It's a best seller, full of adventure, I'll be proud of the ups and downs along the way - I will know I made the best choices possible. I will have mattered. I will have loved and been loved - and I will have made a difference. The perfect card for your sister. 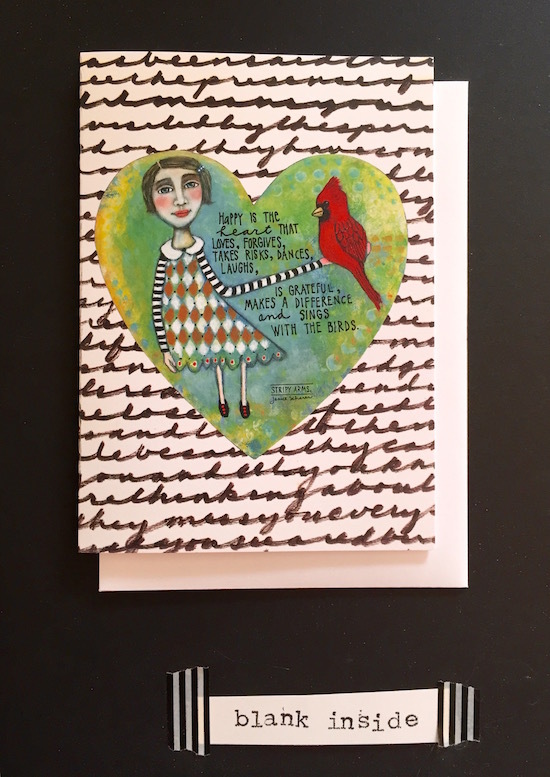 Card reads: I have a sister, she walks with me, and reminds me every day... I am loved, I am smart, I am talented and beautiful, Just like her in every way. Stripy Arms Community - Coming soon!